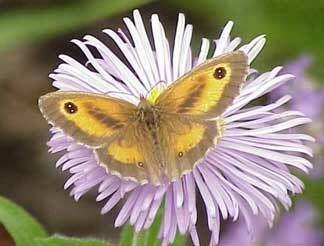 Identified by its distinctive ragged-edged wings. Seen March-September. Caterpillars feed on common nettle (plenty in the country park), elm and hops. 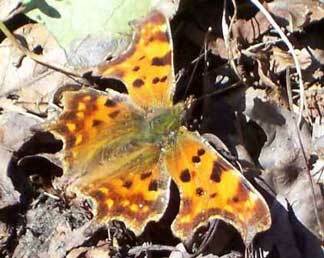 Its under-wings are a smoky brown with a distinctive but small white "comma". 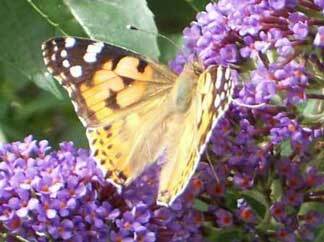 Look out for this species between March and October. It loves the sun. Caterpillars feed on common nettle. Its underparts are smoky-brown. The adult can been seen in flight between July and September after which it hibernates and then flies again in spring. 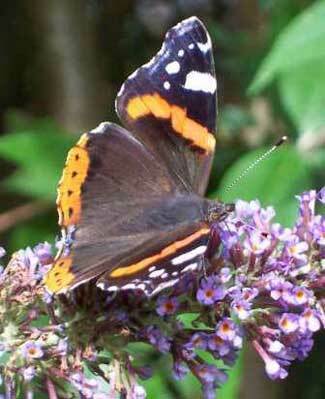 Underwings are a smoky-brown. Caterpillars feed on common nettle. Flies July - August and often can be seen feeding on bramble flowers. Caterpillars feed on grasses. Commonly seen July-August. Larvae feed on common nettle. 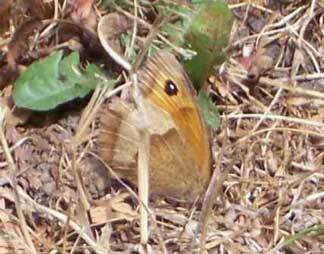 Small numbers hibernate but majority are summer migrants from the south e.g. Southern Europe and North Africa. Very common and widespread. Loves all sorts of grassy places. Commonly flies June-August. 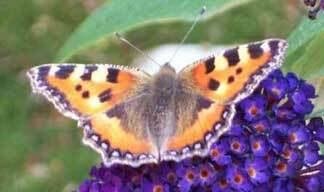 Upperwings are brown with a small orange patch on forewing which on males contains an eyespot. 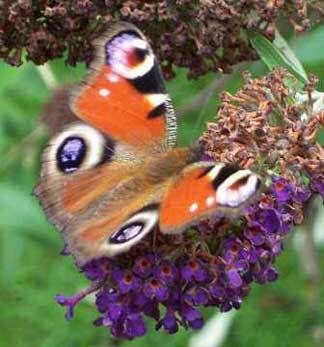 This large butterfly is a summer migrant to this country. They sometimes breed here but do not survive our winters. Thistles are its preferred food in Britain. Can you find the 12 butterflies hidden in this word search? All of these species have been spotted in the Humber Bridge Country Park. Look out for them on your next summer visit.